ClearOS Content Filter allows employers to utilize their resources in most profitable and productive way, along with preventing unauthorized access in network. Studies reveal the average employee spends 75 minutes per day using office computers for non-business related activity, costing employers thousands of dollars per year, per employee. If you are a business owner, government agency or academic institution, receiving blacklist updates may be required by law (e.g. CIPA) in order to meet certain government regulations. 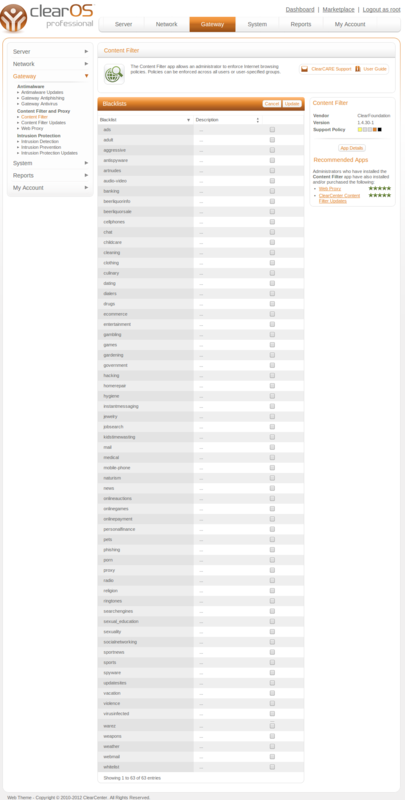 The ClearCenter Content Filter Updates service provides updates to the URL blacklist to improve the effectiveness of the filter. 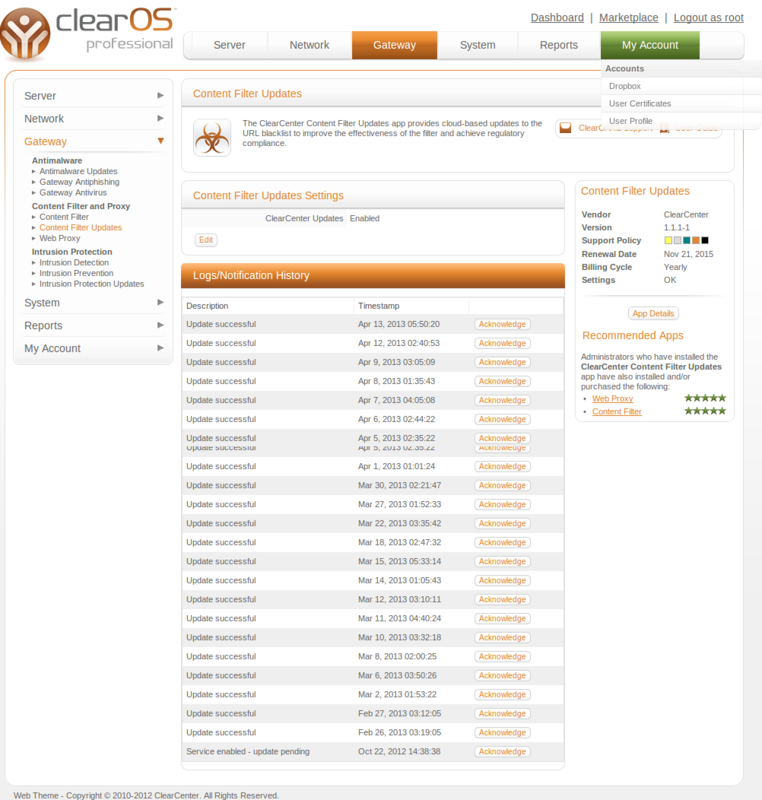 ClearOS Content Filter allows administrators to set Content Filter policies and definitions to block a certain category of content, enforcing the rules for employees to steer clear from unwanted web access. It also prevents unauthorized outside access to the network, thus preventing the malware. The Open Source Filter comes with standard GPL License and latest version of the Content Filter, 2.0.16-1, boasts various powerful features.